Rain and snow will stick around early, Saturday. Winds will pick up once again and linger into Sunday morning. We'll see rain and snow move out by late morning and early afternoon, Saturday. 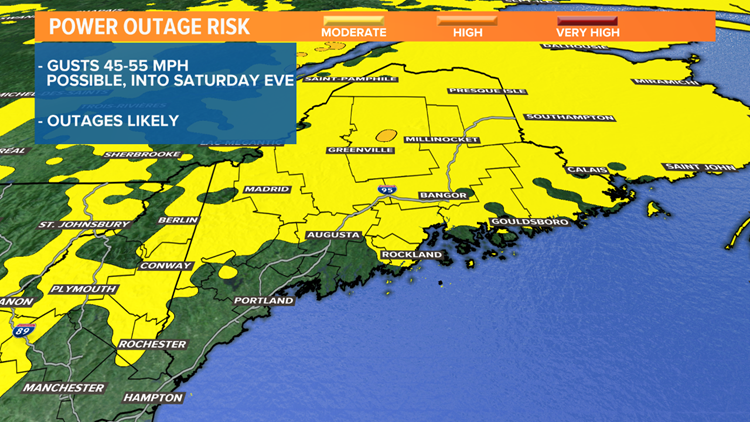 Our attention will then shift back to the windy conditions expected Saturday afternoon and night. The National Weather Service has wind advisory and high wind watches in place for this afternoon through early Sunday morning. Gusts could approach 45-55 MPH, at times. 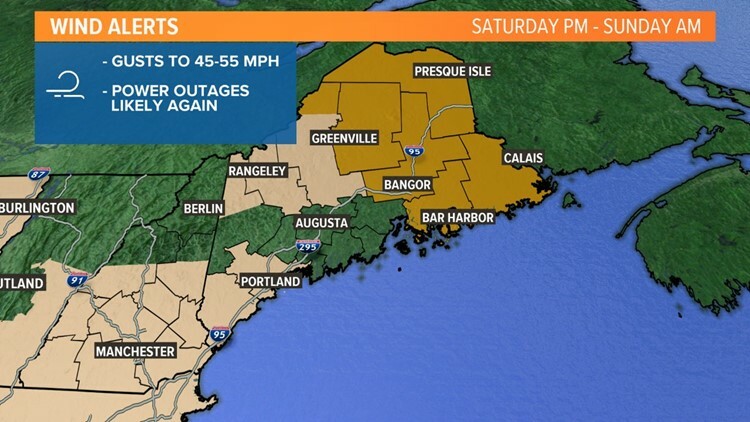 Power outages are likely once again. Winds should relax into Sunday morning, with more sunshine for the second half of the weekend. Bundle up, though! Highs will only stay in the 30s, which is well below average for this time of year. Be sure to download the FREE NEWS CENTER Maine app, so you can always check your local forecast on the go.